Probably the first place that comes to mind when most people think of Omakase is Tojo's. 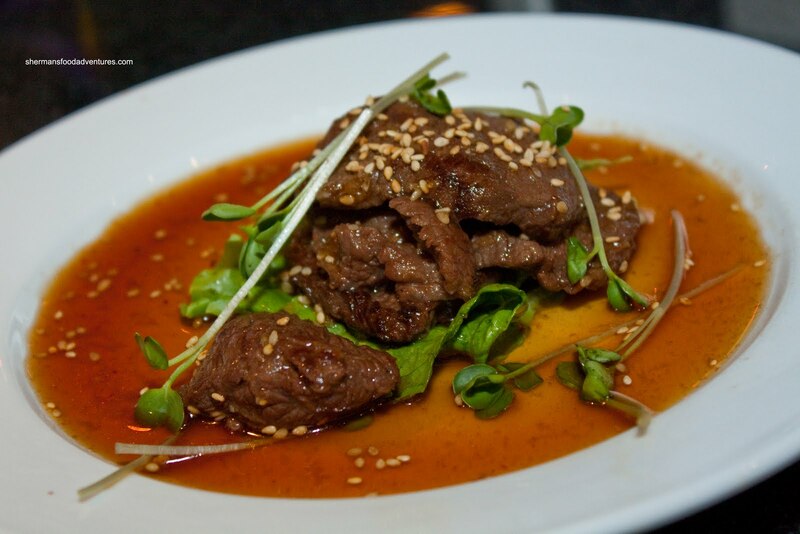 Naturally, for those who have ventured to other Japanese restaurants, Tojo's would not really be their first choice. After all, you can't really get out of there without spending at least $100.00 each for his Omakase. And if you sit at the bar and give him the reigns, just make sure you bring along 5 brown notes. Yes, the last time I had the Omakase there, it cost nearly $500.00 for 2 people. 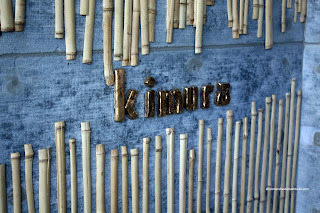 I must admit some of the offerings were really good; but it didn't feel like I was getting my money's worth. But then again, as I have stated, people d on't go to Tojo's for value. Much like purchasing a Bentley, there is no thought put into: "Am I getting a good deal?". It's the type of place where you have been there and done that. It is also a place where you'd find people with too much money. For me, the Omakase at Octopus' Garden was better in value and overall eating experience. 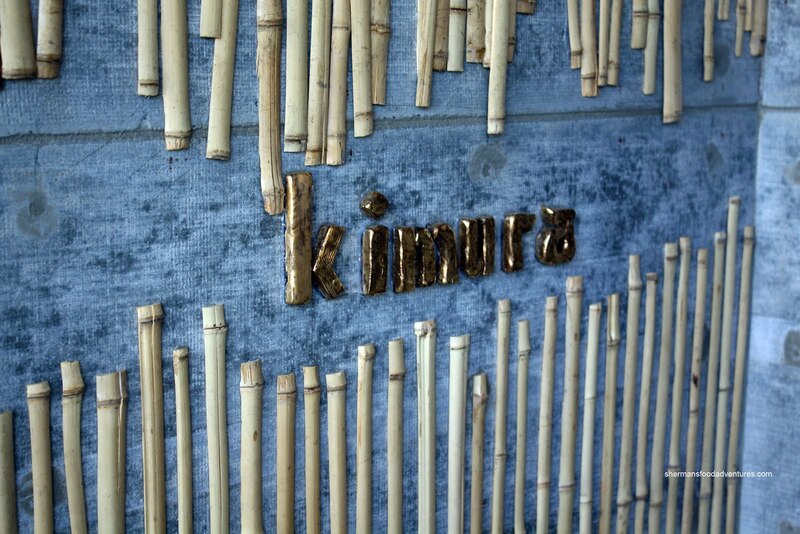 Now, it was about time to see what Kimura had to offer with their reasonably-priced $50.00 Omakase. We started with an Arugula and Baby Spinach Salad with f resh Parmesan. 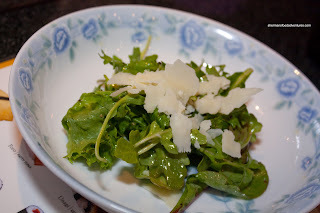 This was a pretty typical salad with a light vinaigrette that I personally found a tad greasy. I did like the liberal use of pepper and ample amount of Parm on top. It added the necessary saltiness. Next up was a platter of many different items consisting of 2 Oysters on the half-shell, Marinated Smelt, Sea Snail & Spinach Gomae, Akimono with berry jam, Squash & Lotus Root and in the centre, an Oyster and Quail's Egg Shooter. I found the oysters to be fresh and the light ponzu was just enough to enhance the natural sweetness. The marinated smelt was really sweet with a touch of tartness. This was okay for me, I wish it was less sweet. As for the Gomae, I found that the spinach itself was missing the roasted sesame seeds because all of it was on the sea snail. The texture of the spinach itself was perfect though. 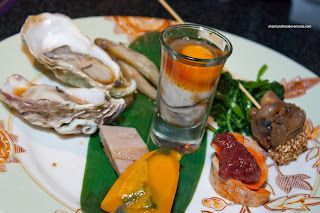 I love the snails, they were chewy in an abalone kind of way and once again, they were very sweet. I really love Akimono (Monkfish Liver); however, it was topped with an inordinate amount of house made berry jam. I found it too sweet and it overwhelmed the liver. With just a little bit, it was excellent as an accent. The piece of lotus root and squash were simply prepared, which highlighted their textures and natural flavour. 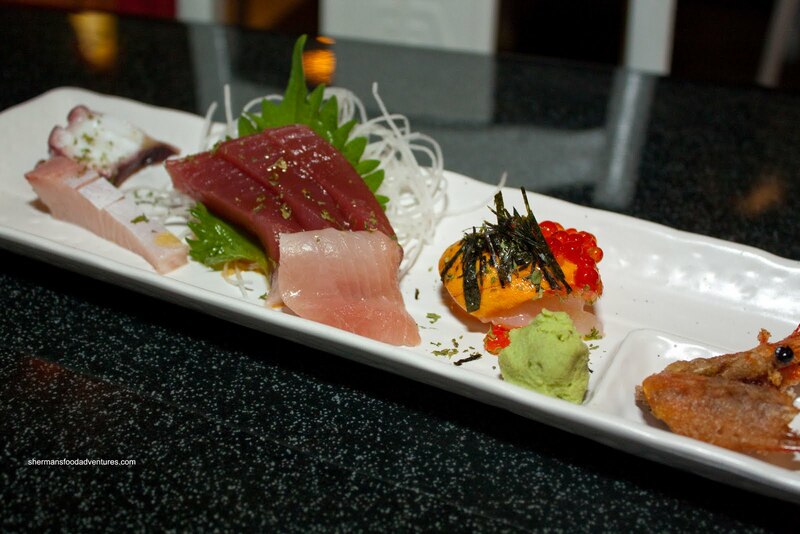 Our next course was Sashimi consisting of Tako, Amberjack, Red Tuna, Hamachi, Ebi/Uni and Fried Prawn Head. Although everything on the plate was fresh and ultimately tasty, my favourite was the red tuna. 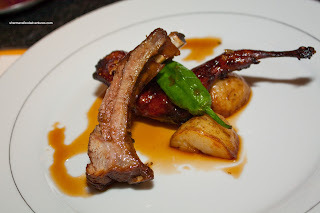 I loved the meaty texture and natural sweetness. Of course the fried shrimp head was a crunchy treat. Our first "cooked" course consisted of Roasted Quail and Pork Rib. The rib was pretty good. The meat was hardly moist; but it wasn't dry either. The meat fell off th e bone and had a nice sweet and savouriness to it. I really liked the quail. It had good colour and the skin had been cooked perfectly. The meat was still moist and a bit chewy (but that is normal). Roasted potatoes and a shishito pepper completed the dish. 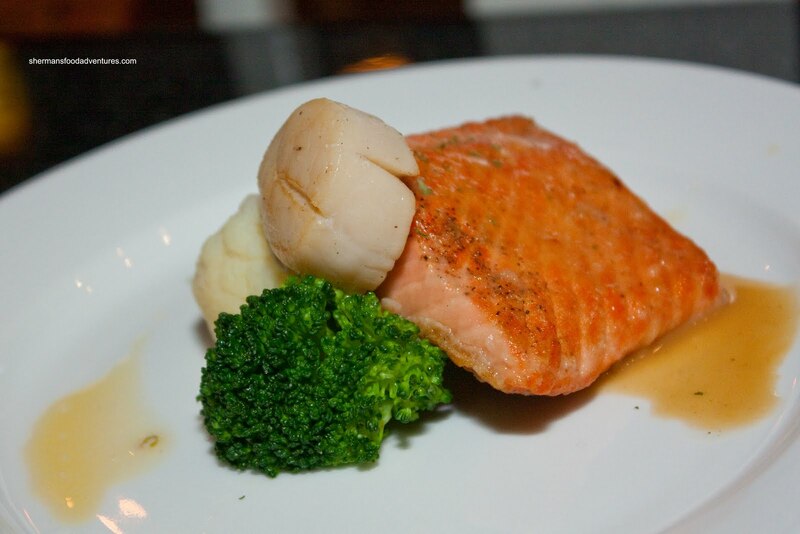 Our next dish consisted of Pan Seared Salmon and Scallop. Of the five people at the table, 2 were cooked all the way through while the others were slightly rare. Unfortunately, Mijune and I were the ones who had the slightly overcooked portions. For me, this was a very "meh" offering. Nothing terrible about it; but it was uninteresting. The salmon was slightly dry and the scallop had no caramelization. The only flavouring was a splash of sweet soy. 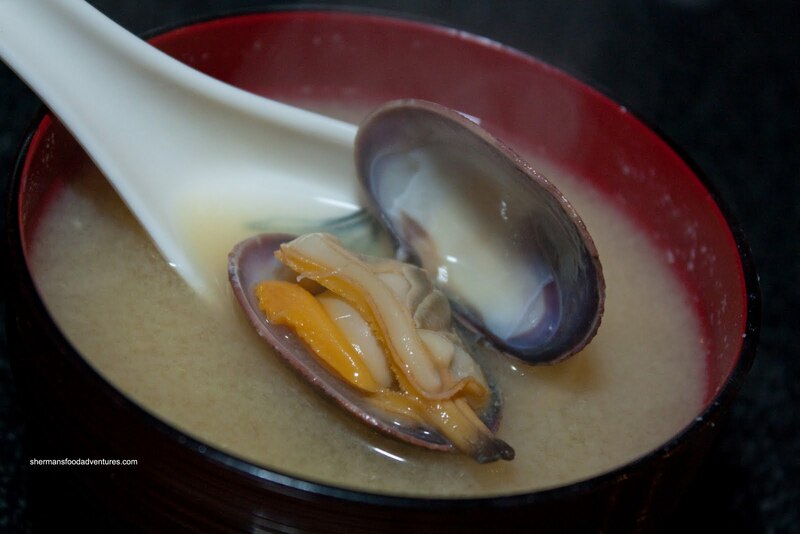 Arriving shortly after and steaming hot was the Clam Miso. As you can clearly see, these were big, fat clams. Normally, miso soup has all the appeal of plain green salad. However, the one here was not your typical "Japanese-wannabe" version. Rather, it was not salty at all. Instead, it had depth and a certain "hearty" quality to it. I normally am indifferent when it comes to miso soup; but I did like this one. The meat portion of our meal consisted of the Kobe Beef. Rather than being prepared as a whole "steak" and then sliced, this one was pan seared in pieces. This way, they were cooked all the way through (which is fine for Kobe beef) and uniformly seasoned. However, I personally was not a big fan of this preparation. The Kobe-ness of the beef seemed to be lost here. If this wasn't enough food by now, we were also given a choice of Nigiri. 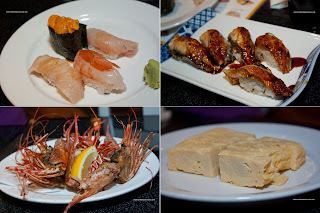 The ones we settled on were Toro, Uni, Amberjack and Amaebi. On separate plates were Unagi and Tamago. Just like last time, I was happy with the sushi rice; but it's still a bit gummy for me. Maybe it's personal preference? Others have liked it very much... Whatever the case, the fish, ebi and uni were fresh and appealing despite a poor cutting job on the toro. Interestingly enough, I liked the toro the most due to its texture and taste. Once again, we were served the prawn heads fried on a separate dish. Gosh, I really love these. I really like them alot. The fried taste of prawn shells with the sweet innards there for the chewing or sucking. Guess what Mijune did with the head? And I do have a picture of it (it's not posted here due to an R-rating)! Lastly, we were offered the choice of Ice Cream - sesame, mango or green tea. Seeing how she wanted to try every flavour, Mijune created her own "Asian" spumoni. She claimed it was good and well, I suppose. 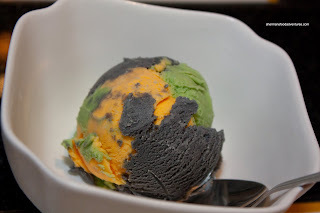 I stuck with a straight sesame ice cream and it was pretty smooth; yet not too strong in the black sesame flavour. Whatever the case, we all felt that the $50.00 for this omakase was well worth the price. Sure, not everything was perfect; but really what is? Most of the dishes were made with expensive ingredients and some were very well-executed. However, I still prefer the omakase from Octopus' garden over the one here. But I don't think you can go wrong with either. At the very least, it further illustrates how overpriced Tojo's is (quality and execution withstanding).